I do love a dress perfectly suited to a specific season and purpose. Queen Letizia attended the UNICEF Awards and, with King Felipe, received the President and First Lady of Peru at Zarzuela Palace yesterday. If this isn't the most perfectly fresh and clean take on a summer dress, I don't know what is. Get this queen out of the palace and onto a yacht, pronto. 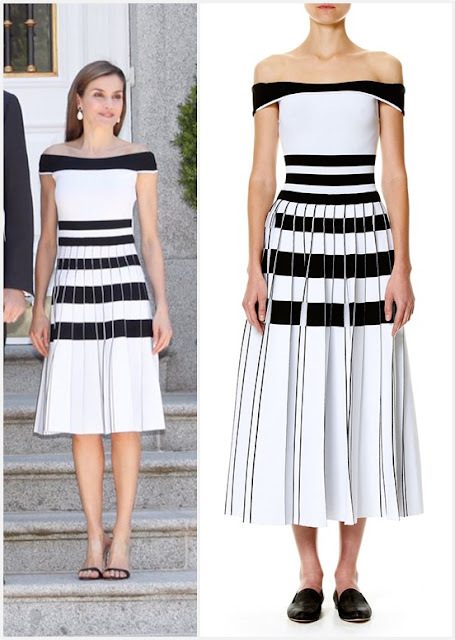 Carolina Herrera dress, shown in midi length. Letizia wisely opted for a shorter version. Better yet, get this dress to me and get me onto a yacht, pronto. There's crucial lounging and twirling to be done and this will be just right. 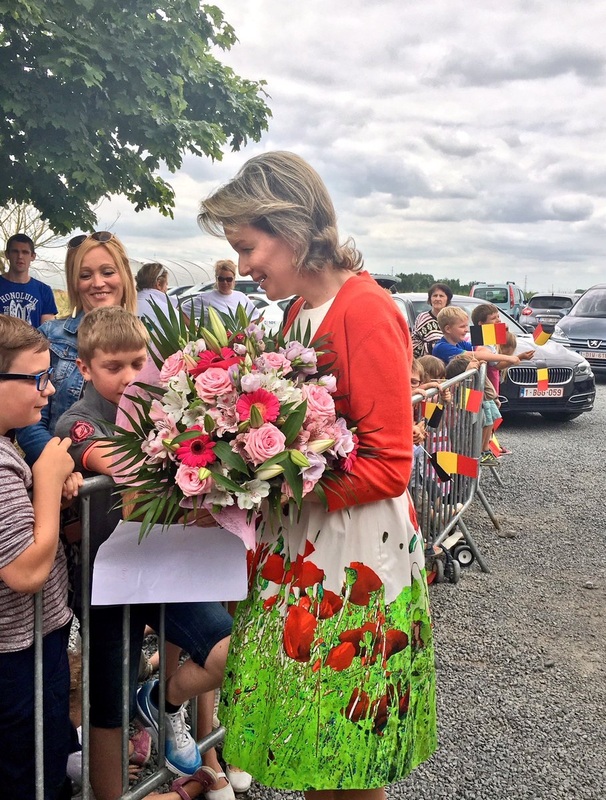 Queen Mathilde visited the Belgian province of Namur yesterday, supporting women in agriculture. So perfectly garden-y, no? Get this queen out to a field of flowers or a fresh green farm, pronto. Hey! Mission complete. Carry on, world's fanciest farmhand.